Glow dreaming: The night light that turned my daughter’s sleeping around. "My child was a terrible sleeper. Using this trick, she's slept through for TWO MONTHS." Does your child get to sleep easily? Does your child sleep regularly through the night? Does your child nap consistently through the day? If you answered ‘no’ to any of these questions but really wish you could’ve answered ‘yes’, then I have something probably (definitely) life changing to share with you. I’m sure some of you out there have already discovered this product and to you, I take my hat off. But for me, it has been a recent discovery. A good mum friend of mine had trouble with both her children’s sleep, particularly her four-year-old daughter’s, literally (literally, literally) forever and this was obviously impacting her ability to get some shut eye herself. That’s when Glow Dreaming came into her life. It’s effectively an epic night light and before buying this product, her daughter had never slept through the night. Not once. Since Glow Dreaming has become an addition in her daughter’s room, she has slept through the night, every night, for nearly two months. Yes, TWO WHOLE MONTHS. “Since Glow Dreaming has become an addition in her daughter’s room she has slept through the night, every night, now for nearly two months!” Image: Supplied. “I tried everything I could think of. Sleep school, sleep consultants, different bedtime routines and other ‘sleep’ products that are meant to assist in developing a regular sleep routine but nothing worked," Lauren said. Lauren was initially skeptical after another friend of hers suggested she try Glow Dreaming. But with the assurance of a 28 day refund policy and a dedicated customer care team devoted to answering questions and offering advice related to the product, she thought that she had nothing to lose. And as it turns out, she didn’t (apart from the frequent night visits from her daughter). According to their website Glow Dreaming also has a 98 per cent success rate and from the people I have heard that have used it, this sounds pretty accurate to me. 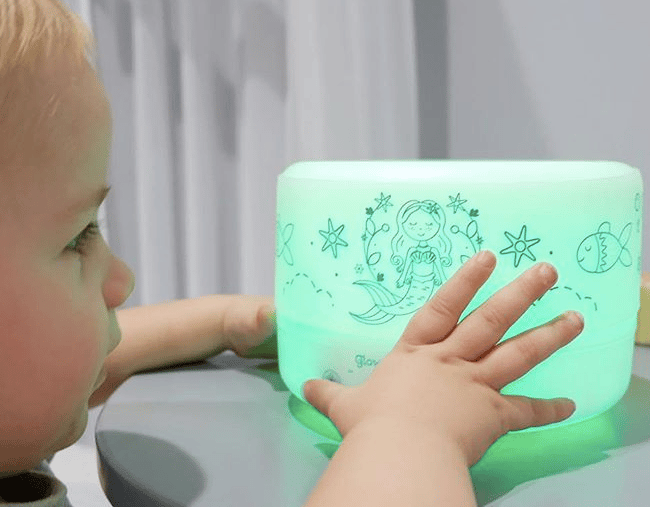 Lauren and her daughter showed me their Glow Dreaming, I loved that it isn&apos;t just a ‘night light’ but it also has other sleepy time features such as aromatherapy, a humidifier and ‘pink noise’. You can pick and choose which features you actually use, whether it be all four or just one. As the design of the night light is created with a changeable sleeve, you can also pick the design that the night light has on it to match with your style from foxes, to robots, mermaids or unicorns or none at all. The sleeves are also cheap so you could always mix and match if you want some variety as well. Technologically speaking, it has two stand out features that take it to the next level in the sleep game: the ‘Red LED Light’ technology and the ‘Pink Noise’. A really interesting thing about the light Glow Dreaming omits is that it is different to many other sleep systems out there which often use a blue light. This system instead uses a specific type of ‘Red LED Light Therapy’, a proven technology used by NASA to assist with the body’s production of melatonin which is the hormone that tells us it is time for sleep (can I say if astronauts use it to go to sleep, I’m on board). The blue light that is used by many other night lights and sleep devices out there is actually the same light emitted by phones and tablets (the things we are told to avoid when about to go to sleep), so it hinders our ability to get to sleep and stay asleep. 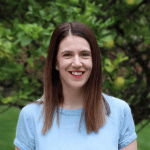 The ‘Pink Noise’ element was developed by a sound specialist, Dr Stephanie Pigeon. It is a combination of natural sounds like waterfalls and rain but created at a frequency unique to the system and one that compensates for speaker variations and to encourage sleep. Questions you have when you don’t have kids: Sleep. So if you used white noise, radio static or a vacuum (yes, I’ve been there) to block out background noise or as a calming sound for your child, you can always turn this on. If you aren’t a fan and like things quiet you can just leave it off. The system is also completely child safe. The humidifier doesn’t use heat or moisture and there are timers that can be set for two or four hours for younger children so this or the sound or light components will turn off after this period. You can choose to leave them on all night too. Glow Dreaming isn’t just for kids either, anyone can use it and with the aromatherapy component, it is a great tool to help anyone of any age unwind. Without the sleeve designs it is just a plain white cylinder so it won’t look like you’ve pinched your child’s sleep aid (even if you have) and would fit unobtrusively into anyone’s bedroom. So if anyone needs me in the near future, you will find me soundly asleep. FYI this post isn&apos;t sponsored, I&apos;m just sharing information that I hope can improve night time experiences for many other people (because I am just that kind of person). * Featured image via @glowdreaming.